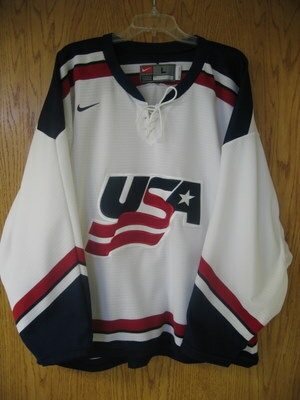 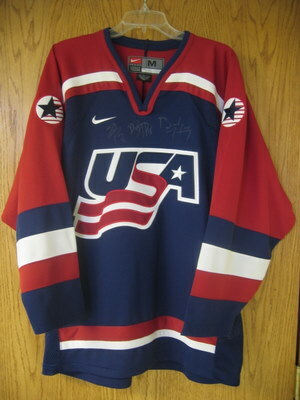 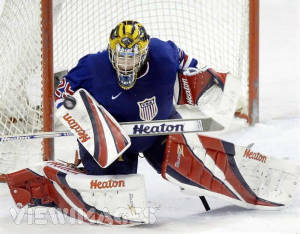 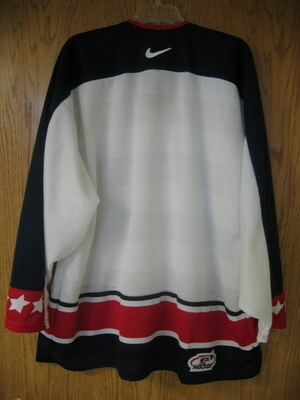 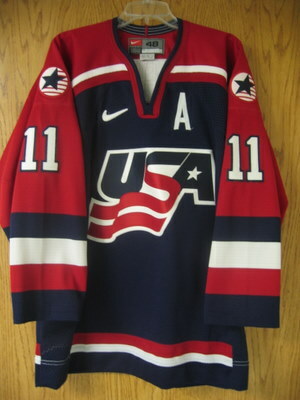 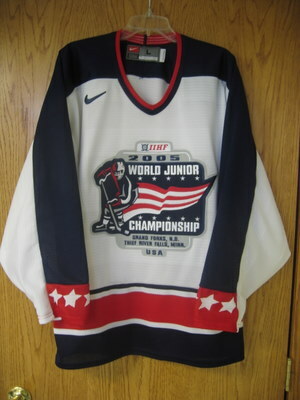 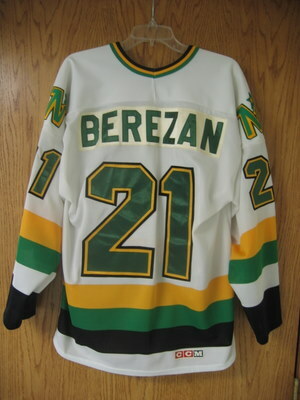 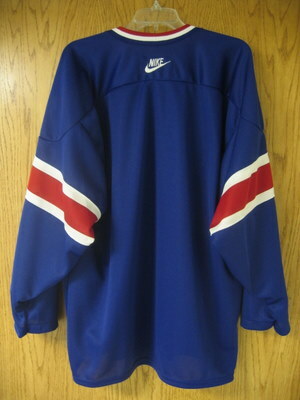 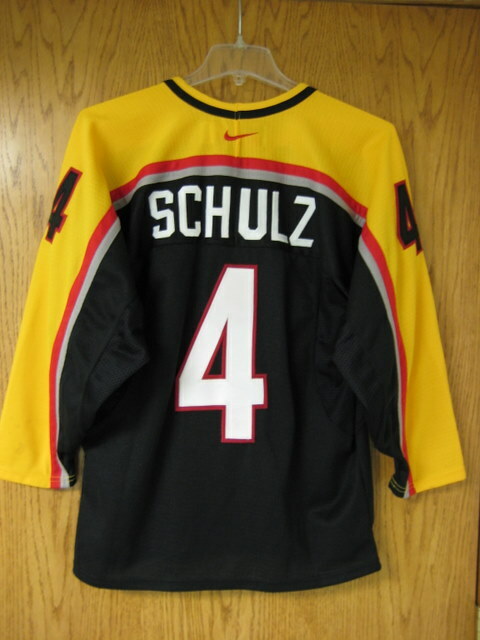 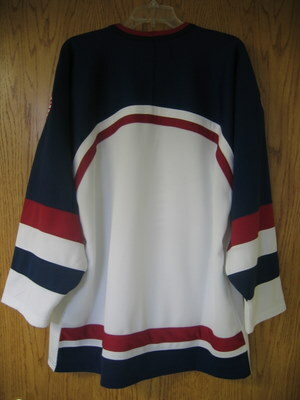 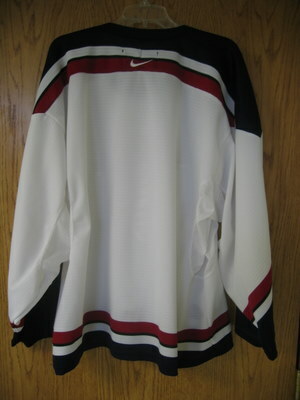 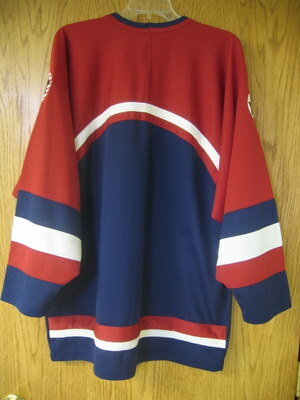 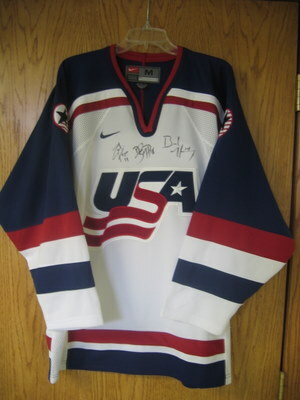 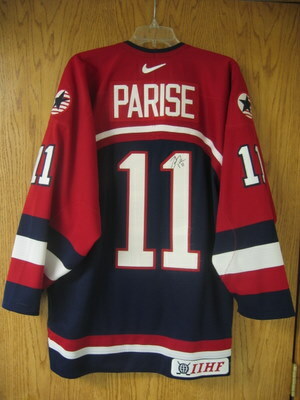 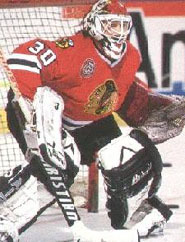 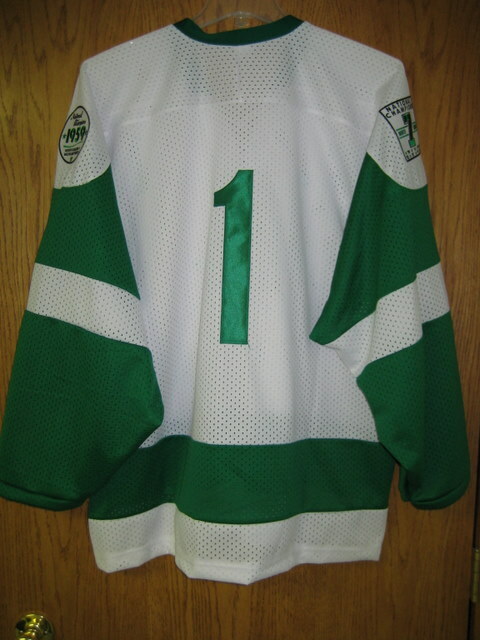 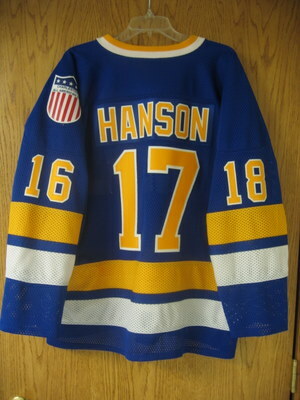 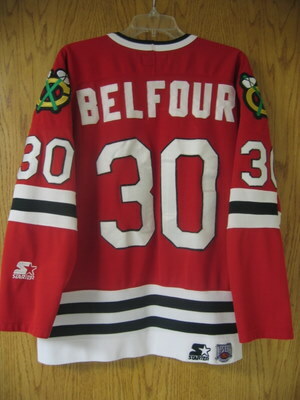 On this page we will display our collection of non-game worn jerseys. 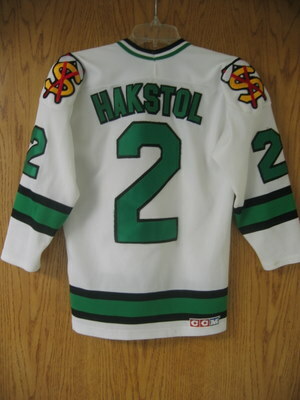 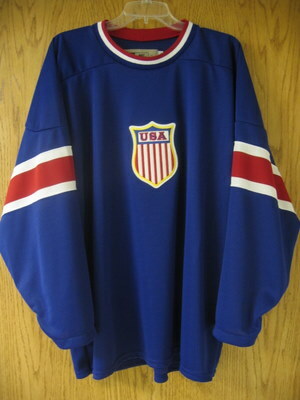 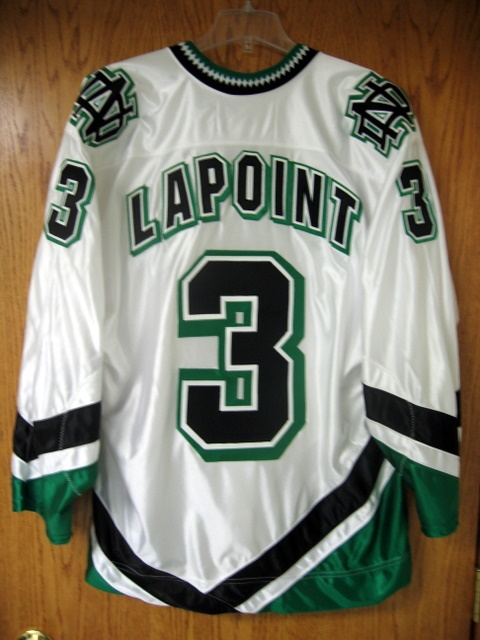 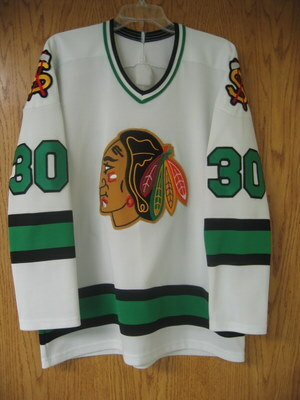 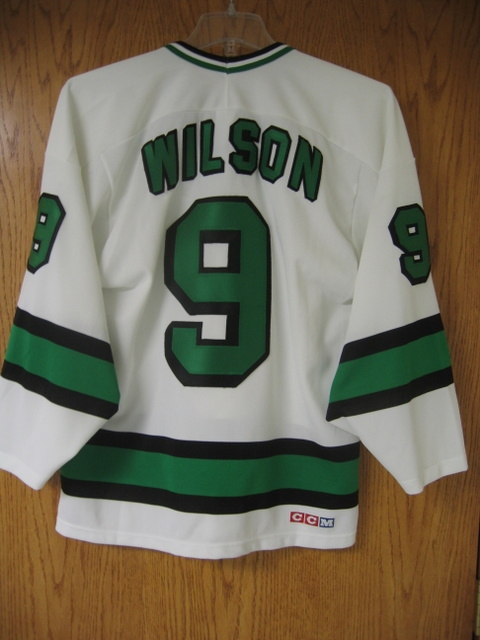 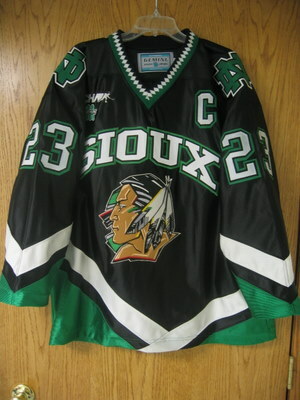 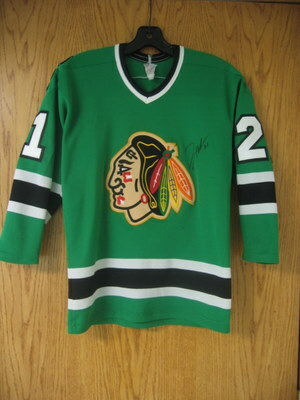 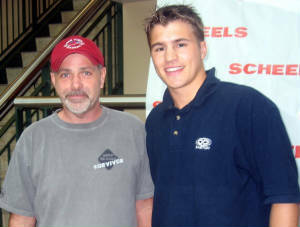 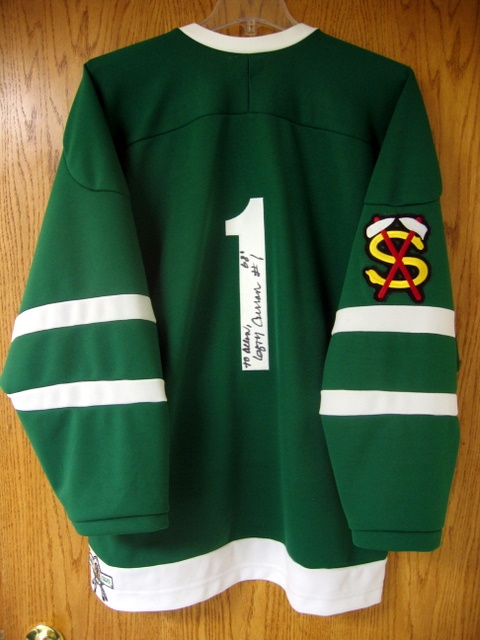 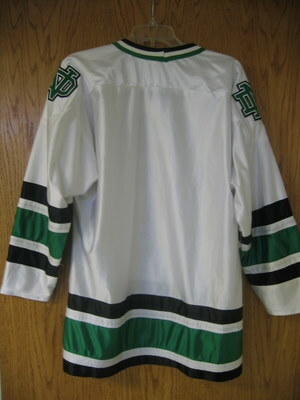 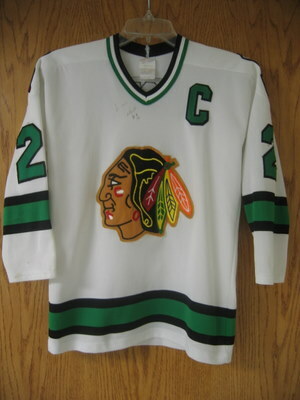 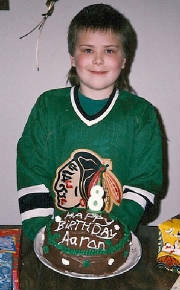 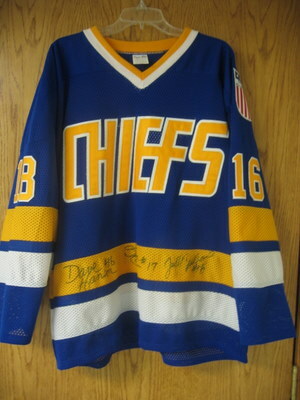 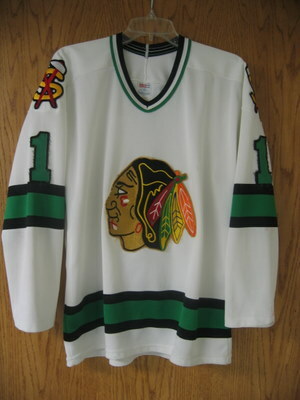 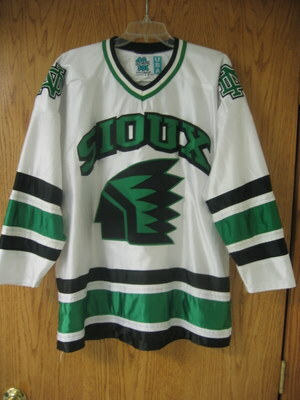 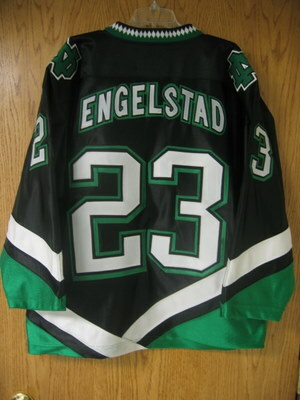 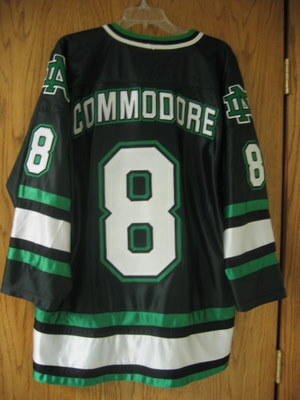 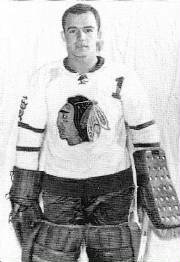 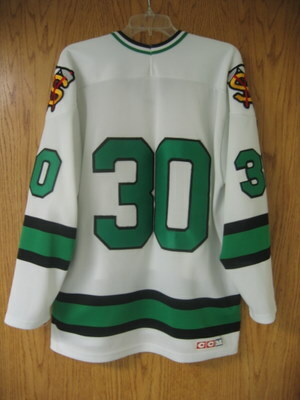 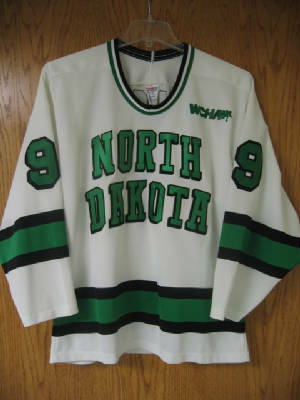 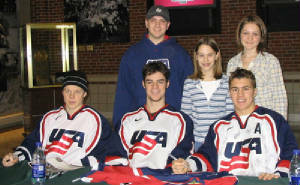 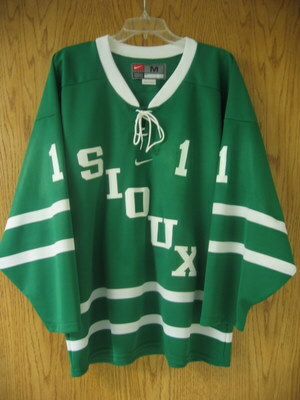 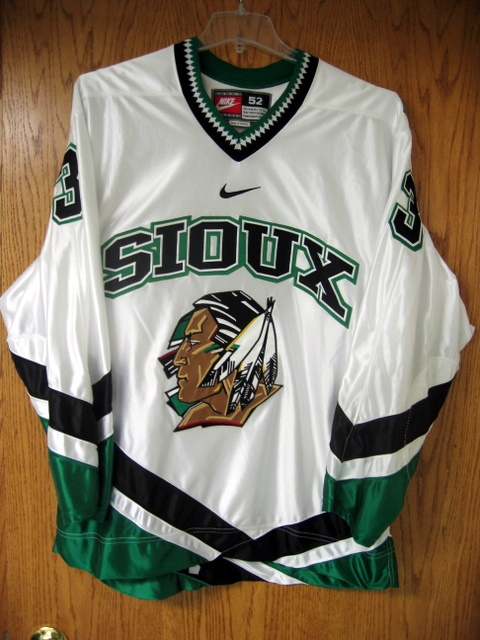 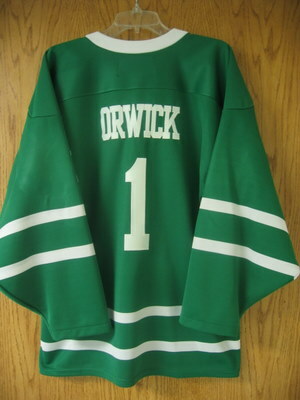 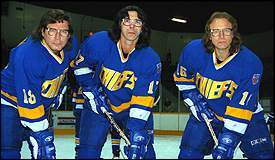 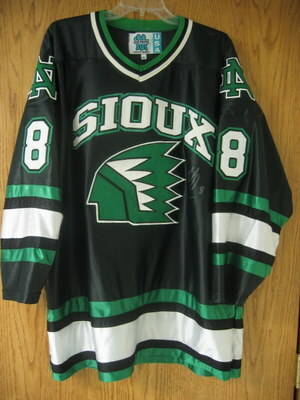 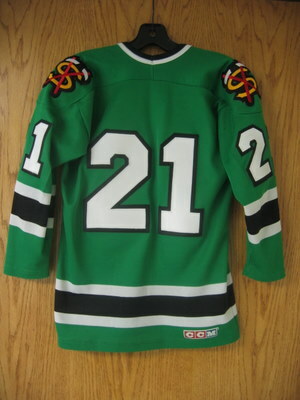 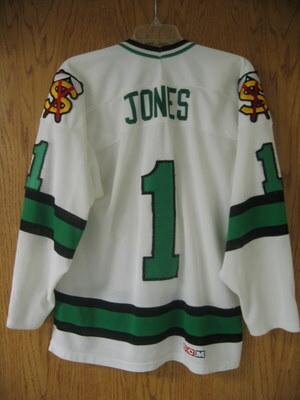 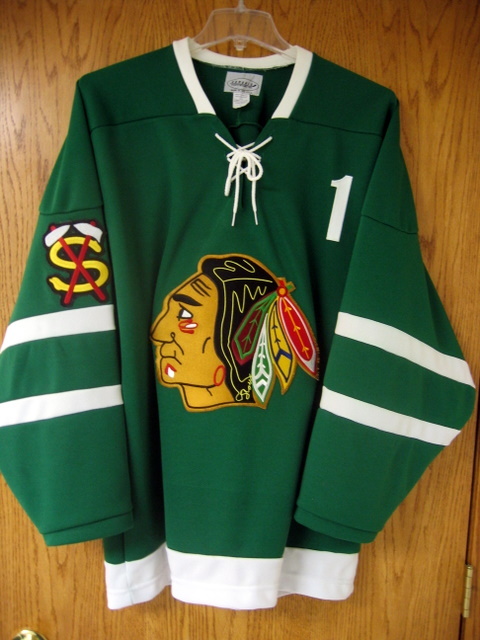 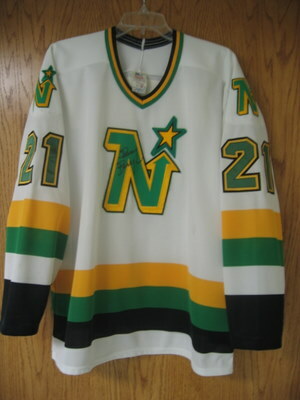 What started with a purchase of a single Sioux hockey jersey in the late 1980s, has continually grown into a collection. 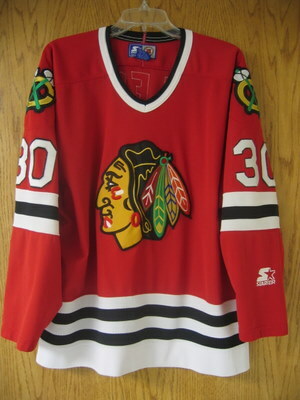 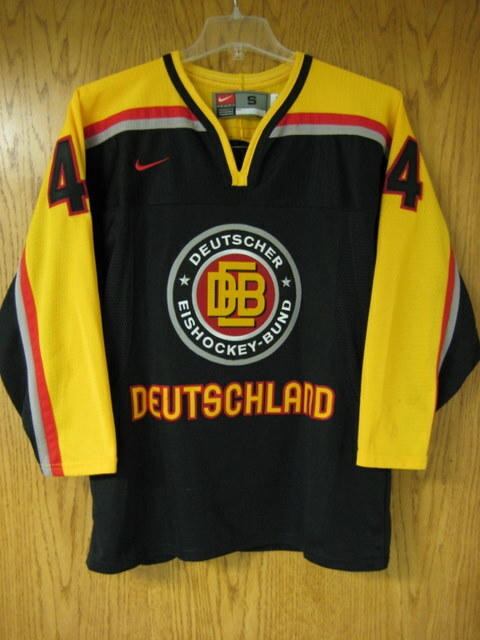 Originally the collection was replicas but now we have moved into the collecting of game worn jerseys which can be viewed on another page on this website. 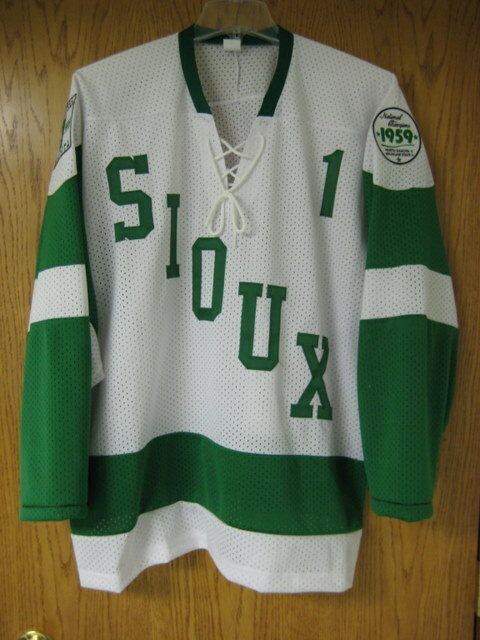 These jerseys all have a story to tell, hopefully will enjoy looking at them and the captions that explain some of those stories.